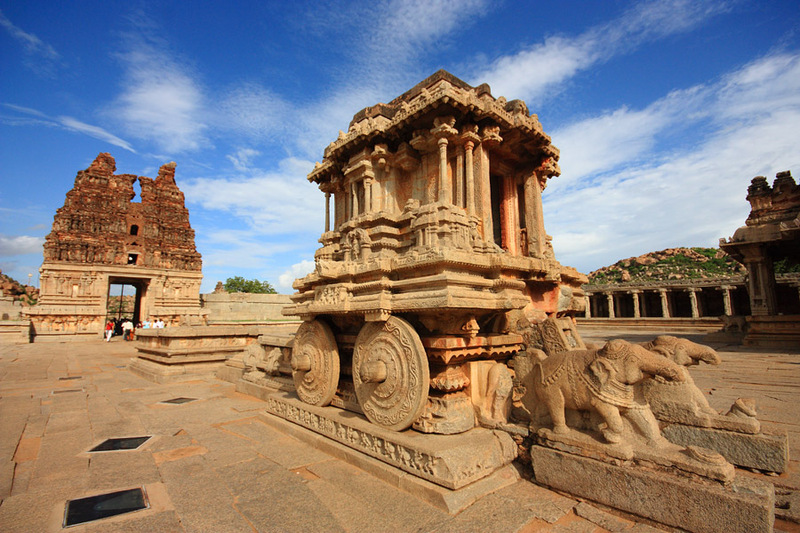 Hampi is the capital city of Vijaynagar located in Karnataka. It is a well renowned UNESCO World Heritage Site and one of the most iconic travel destinations in the state. 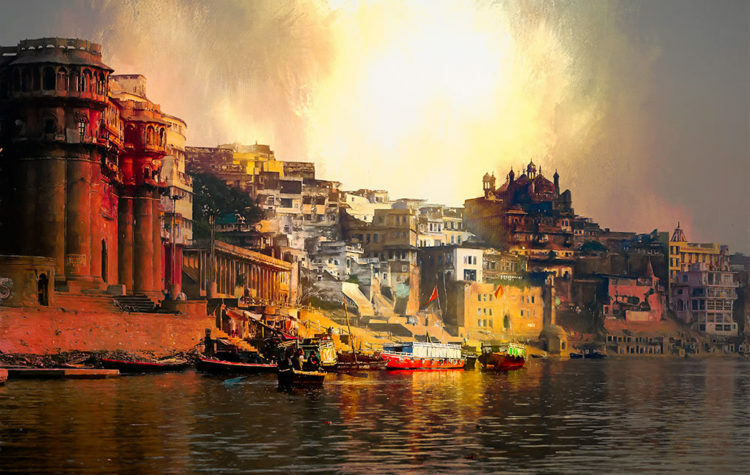 This city is famous for its beautiful temples, majestic ruins, glorious history and fascinating mythological tales. The special highlights are Hampi’s boulders which unlike most of rock formations were not formed due to volcanism. They are a composition of granite and sculpted in beautiful rounded shapes naturally. This marvel of nature is a treat for travellers. According to popular mythology, Hampi got its name from the river Tungabhadra’s ancient name, Pampa, i.e Lord Brahma’s daughter. She was believed to be devoted to Lord Shiva which evoked sympathy in heart of Kama, the god of love. He disrupted Lord Shiva’s penance to direct his attention towards Pampa and thereby caused his own destruction. 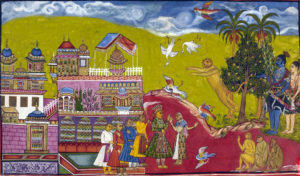 After a series of events Lord Shiva forgave Kama and married Pampa. All the gods of heaven showered gold on them as a sign of their blessings and joy. The hill where they got married in Hampi is called Hemakuta which literally means a heap of gold. There are also references to the Ramayana found in Hampi. It is believed that Lord Rama and his brother Lakshman stayed in Hampi during their search for Sita. There are a lot of intricate carvings on the walls of the temples which indicate the stay of Vali, Sugreev and Hanuman (leaders of Lord Rama’s monkey army). 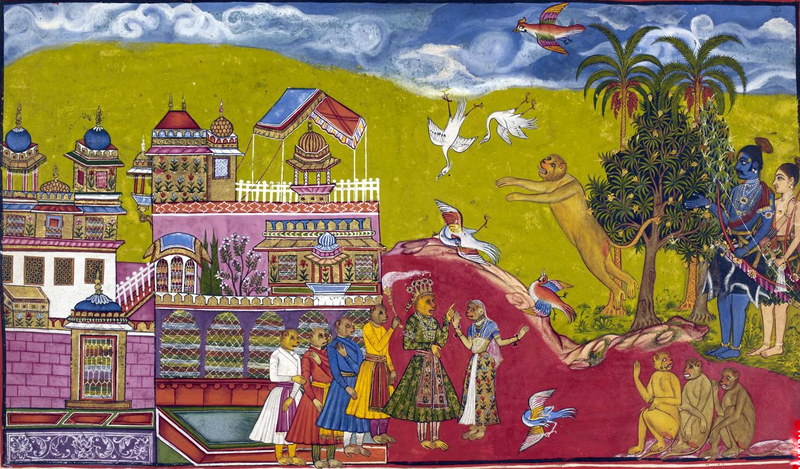 The famous mace fight between Vali and Sugreev which is an extremely significant episode of Ramayana is believed to have taken place in Hampi. Also, the Anjaneya Hill, just across the river is believed to be the place where goddess Añjana gave birth to Hanuman; follower of Lord Rama.These folklores are popularly known as Kishkindha (which means monkey) episode. 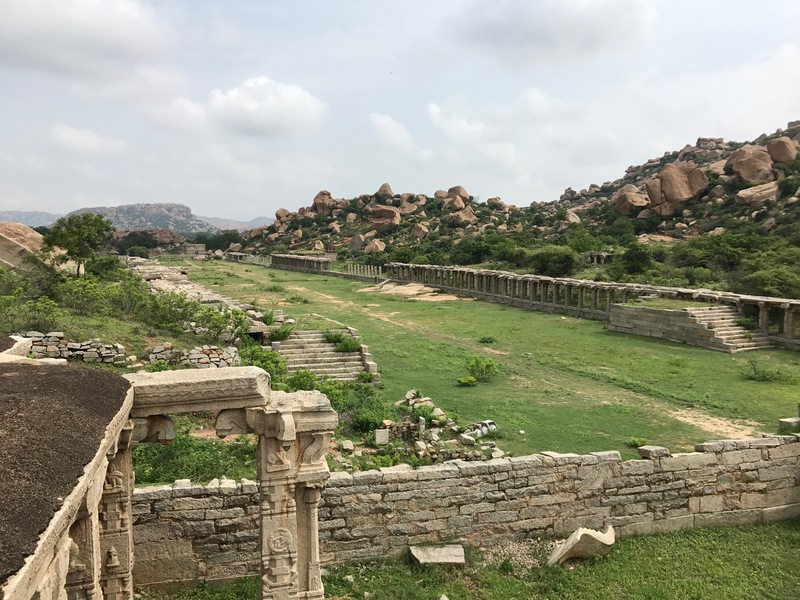 Although, the most significant and relevant evidences of Hampi’s existence date back to 14th century AD when it became the capital of Vijayanagar, legends date as far back as the 1st century AD. 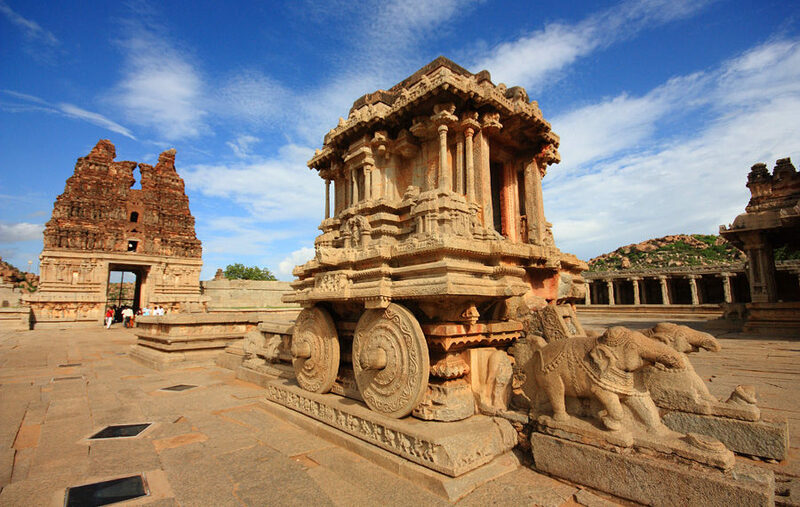 Over a period of time many rulers reigned over Hampi due to it being a huge trading center and built many temples and monuments here. 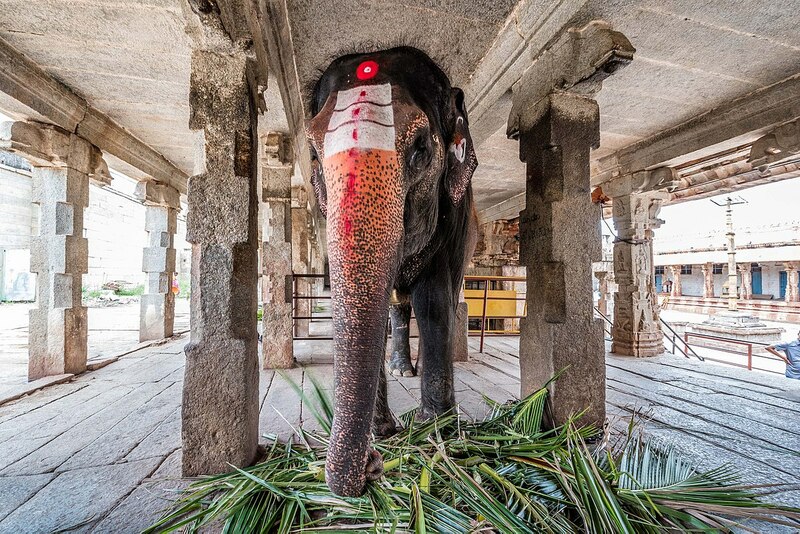 There were also a series of battles for taking control over Hampi: some as long as six months. This led to the ruining of a lot of architectural property of the town and it eventually got the moniker – city of ruins. Colin Mackenzie discovered the ruins of Hampi in 19th century AD. 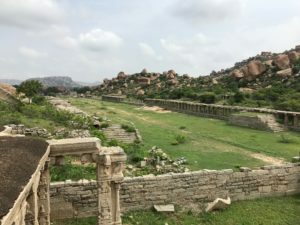 The Archeological Survey of India still does many excavations to discover the many beautiful temples and other artifacts, as yet undiscovered, to unravel the full truth of magnificent Hampi. 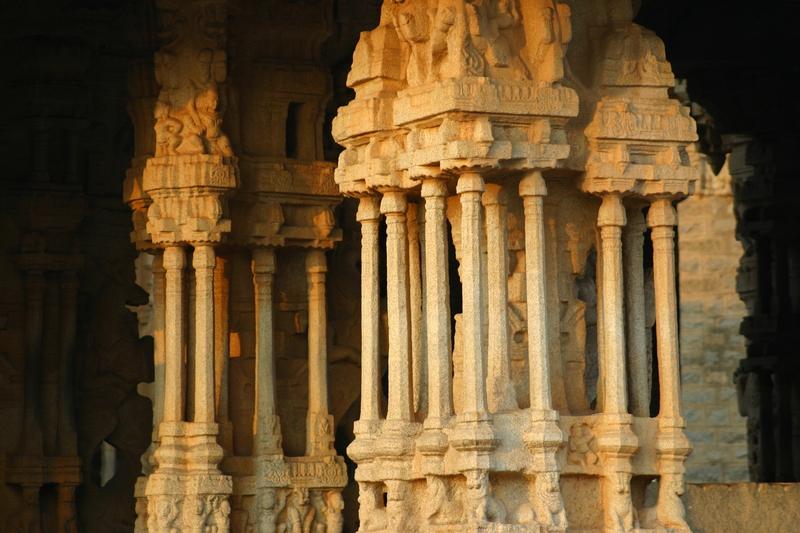 The SAREGAMAPA pillars: The Vittala Temple has an architectural marvel-56 columns. They make melodious sounds when tapped gently. 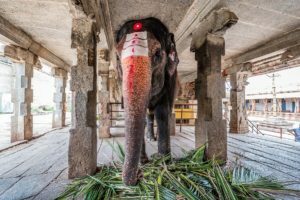 Treasure Hunting Elephant: In the second tower of Virupaksha Temple is a statue of an elephant which collects the coins you offer in his trunk. It also kisses you on the head. 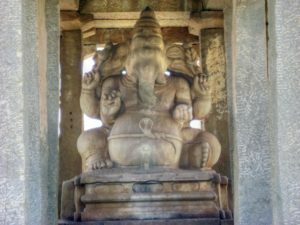 The Snake Tied Ganesha: One can find the statue of Lord Ganesha with a snake tied around his belly sitting in the lap of Goddess Parvati in the Sasivekalu Ganesha temple. It is believed that Lord Ganesha tied a snake to his belly to protect it from bursting due to eating too much. The city hosts a famous and extravagant annual festival popularly known as the Hampi Festival or Vijaya Festival. It happens for three days in the beginning of November. The festival is organised by the Karnataka government to attract tourists to this World Heritage Site. 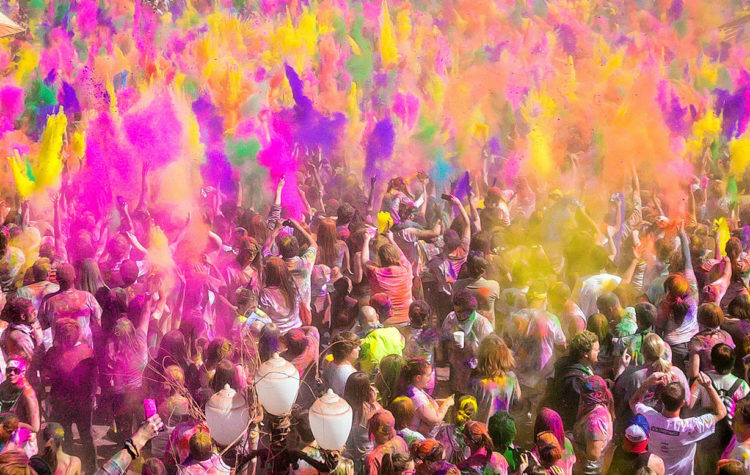 The city of ruins comes to life with vibrant colours, music, puppet shows and other cultural activities. There is a spectacular procession that takes place followed by fireworks. 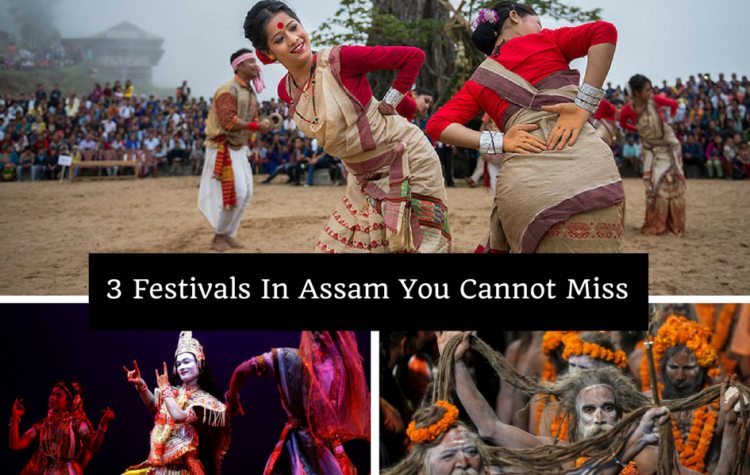 It’s a treat for the eyes and the immersive traveller’s soul to be a part of this grand festival. Shopaholics, there is a shopping street where you can shop for many handicrafts like musical instruments, clothes and local handicrafts amongst other things. 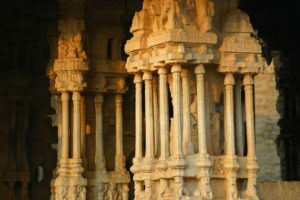 Hampi is soaked in a cultural, mythological and historical diversity. We can assure you that the variety of legends of this city and its sights will amaze you at every step.